September 10th is World Suicide Prevention Day! It's a time to promote suicide prevention for people everywhere -- except the sick and disabled. Depending on where they live, they get help killing themselves. 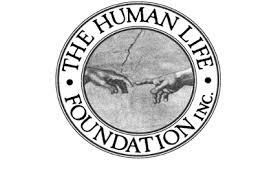 In Canada, we now have legal assisted suicide for Canadians "who have a serious and incurable illness, disease or disability." I meet the criteria for what the Canada's Liberal government euphemistically calls "medical assistance in dying" -- should I become suicidal. World Suicide Prevention Day is NOT meant for people like me. people who consider themselves "progressive" would never admit it, their world of progression is one without the chronically ill and disabled and they are prepared to kill to get it. 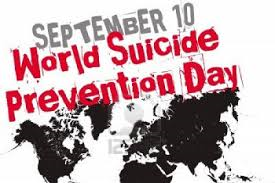 World Suicide Prevention Day is for healthy and able-bodied folks and bypasses the sick and disabled in Holland, Belgium, the U.S. states, Oregon, California, Washington or Vermont, and now their neighbors to the north: Canada. We get medical assistance in dying! Our therapy is lethal injection or poison pills. So kind and inclusive of the "progressives". Such progress! Proponents of assisted suicide say people should be able to choose the time and place of their own deaths. But have you ever noticed they only speak this way when dealing with sick and disabled people? The euphemism "medical assistance in dying" is intentionally inaccurate and misleading. 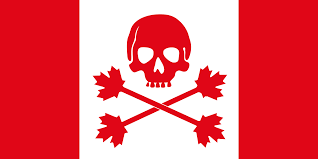 If the Canadian Liberal government of Justin Trudeau was honest they would have termed their law what it is: "An Act to permit medical assisted suicide" or "An Act to permit medical killing". But that does sounds regressive (which it is) and reminiscent of (dare I say it?) the Nazis. sanctioned medical killing specifically targeted at incurably sick and disabled and tax funded. It is anti-disability prejudice disguised as autonomy and choice. 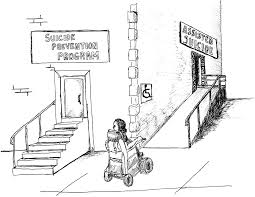 Until the annual World Suicide Prevention day denounces assisted suicide of the sick and disabled -- and particular state-sanctioned assisted suicide -- it will be a selective prevention, a cruel and hollow lie at the expense of people like me.